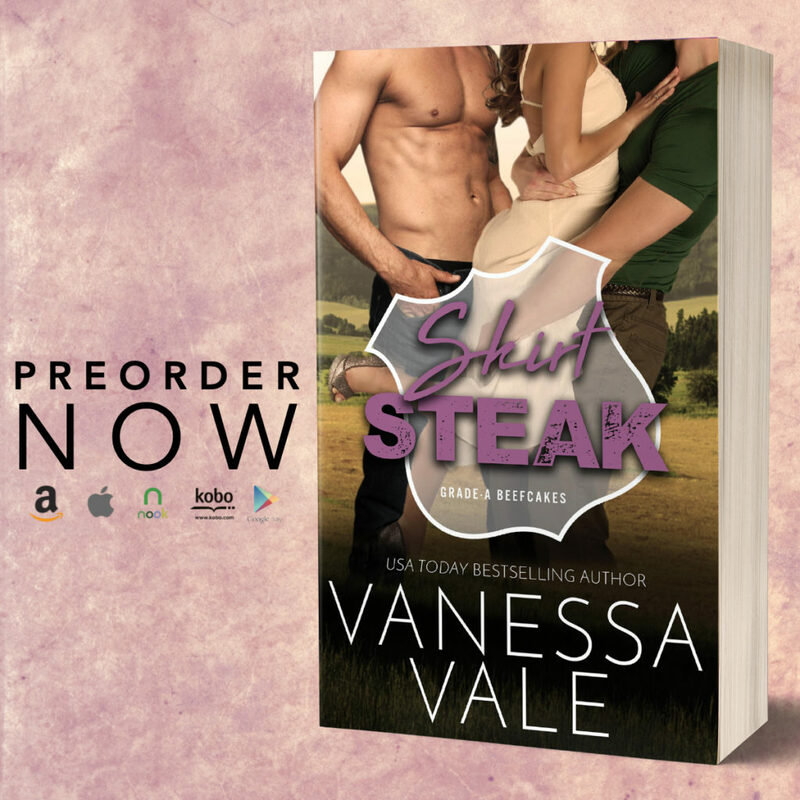 Skirt Steak by Vanessa Vale releases on April 4th! Amazon — on release day! Julia Duke has watched her brothers fall in love, and it’s her turn. But after a rude ex complained she was terrible between the sheets, her confidence is shot. If she can’t please one man, how can she satisfy two? She’s not looking for love, but one Friday night — love finds her.Bennett and Cash take one look at the fiery redhead and can’t resist seducing her into their arms. Nothing will stop them from making her theirs. Not the a-hole ex boyfriend, and not a scandalous past that may change the way she looks at one of them forever. Now that Julia knows what it’s like to be loved by some Grade-A Beefcake, she’s willing to do whatever it takes to keep her men, no matter who she has to fight to get her happily-ever-after: the rumor-mill, the law, her crazy ex, or herself.